Enter the realm of cool comfort! 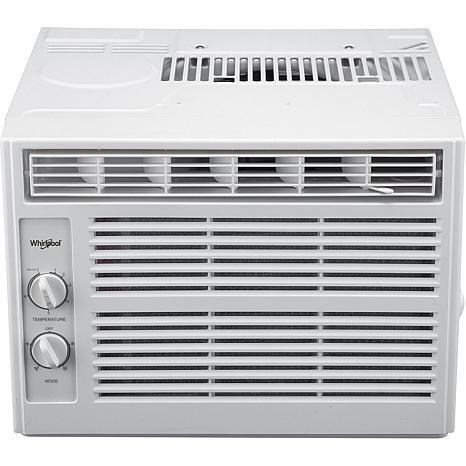 Easy to install and operate, the Whirlpool 5,000 BTU window-mounted air conditioner quickly cools a room up to 150 square feet. 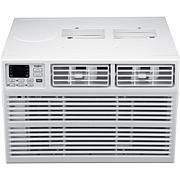 Features include mechanical rotary controls with 2 speeds, 8-way air directional air flow and auto restart after a power outage. Maintenance is made easy with the removable and washable air filter. Simply rinse every few weeks to keep your air conditioner at peak performance. At Whirlpool, we take comfort and caring to the next level.